Jeremy Clarkson has officially been fired as the host of Top Gear following a fight with a producer of the show, Oisin Tymon. BBC Director General Tony Hall confirmed the sacking in a statement, saying that the decision “was not taken lightly,” and that the BBC is looking to renew Top Gear in 2016. The show had already been put on hiatus pending an investigation into the incident, with only seven episodes of a planned ten-episode season airing. 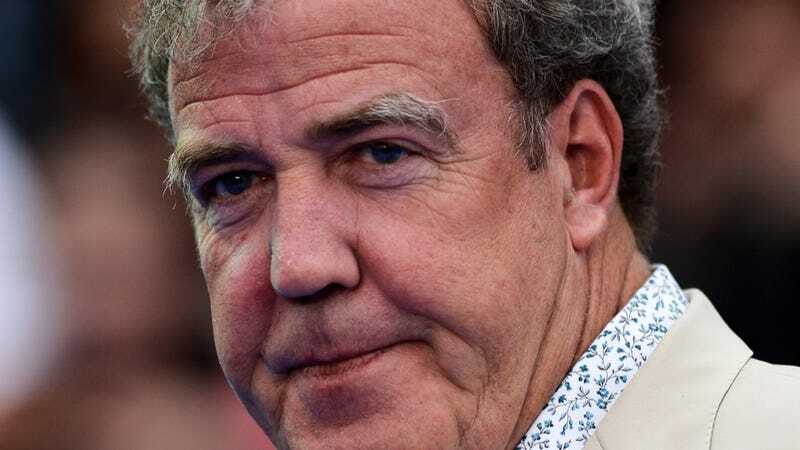 Clarkson was fired despite massive popular support, which included petitions garnering over a million signatures, a statement of support from once-vaunted enemy Piers Morgan, and a guy driving a freaking tank to BBC headquarters. It’s unclear at the moment what Hall means when says that the BBC is looking to renew the show, as Clarkson’s fellow co-hosts James May and Richard Hammond have indicated that they would not continue it without him. Rumors have swirled that the BBC has been looking for a new host, but possible replacement favorite, radio presenter Chris Evans, has summarily shot that one down. Clarkson’s firing came after a rash of repeated incidents, including multiple allegations of racist statements. Even still, his collective body of work is still considered highly respected, and he’ll likely land somewhere soon. What Happened With Raj Nair&apos;s Departure From Ford?